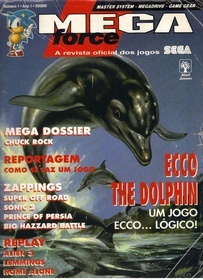 The Portuguese version of Mega Force was a magazine published by Abril Jovem between June 1993 and July 1995, in Portugal (mainland Portugal and its two autonomous regions, the archipelagos of the Azores and Madeira, respectively). Most of its contents was taken and translated from the French magazine of the same name. 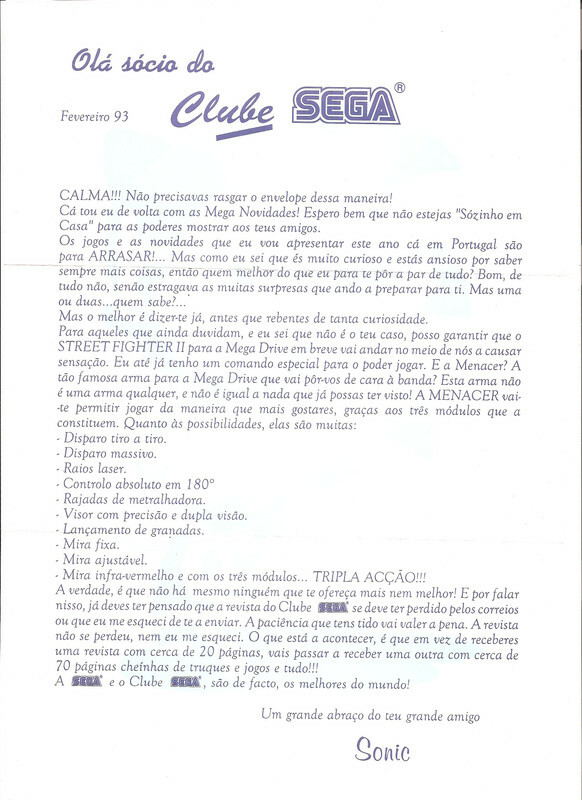 Ecofilmes initially planned to replace their official newsletter, which was mailed monthly to the members of Clube Sega of Portugal, with their own magazine - Revista do Clube Sega - but decided to cut costs, making an agreement with Abril Jovem to publish Mega Force instead. 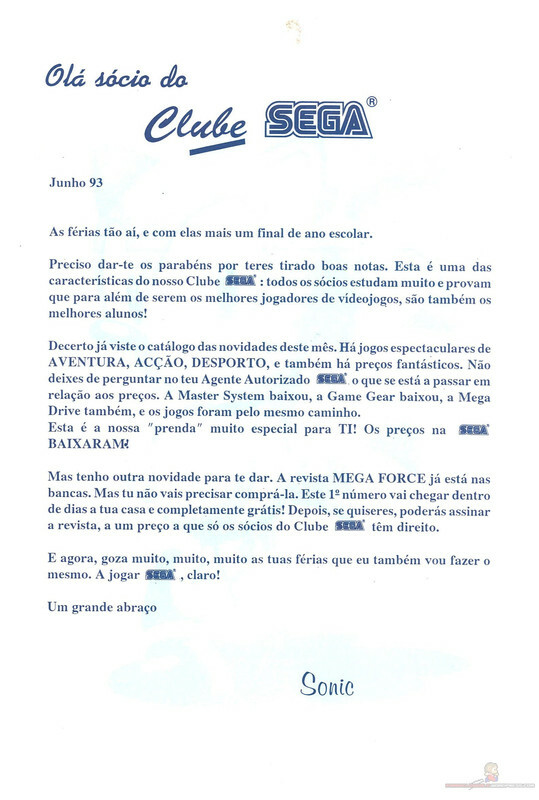 Clube Sega members, were previously, informed of this decision, by letter (February 1993) and the first issue of the Mega Force magazine was offered free to them all. 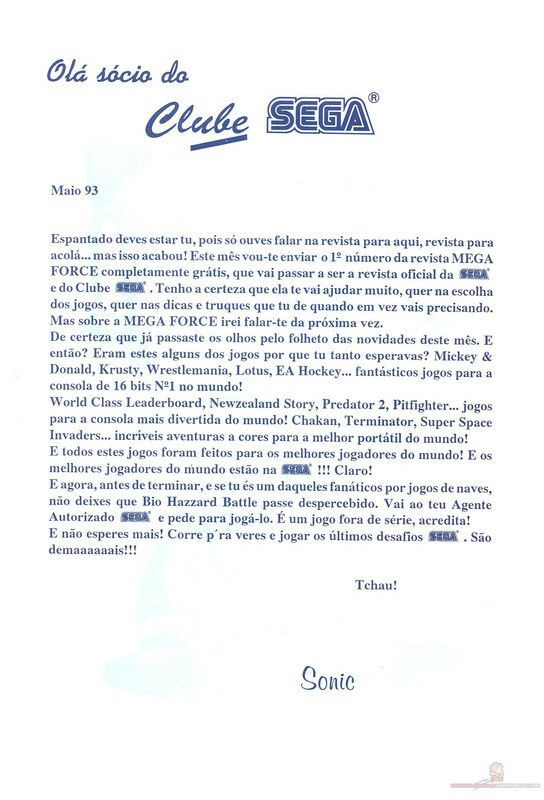 The magazine's one year subscription, was also a right, exclusive to Clube Sega members (non members couldn't subscribe the magazine), which could receive, all the twelve issues of Mega Force, for a special price of 2.750$00 Escudos (13.72 €) per year.